I decided to join the Master canning challenge sponsored by Food in Jars. The first challenge was to make marmalade. I don’t care for marmalade but I know my mom likes it. I accepted the challenge to make some marmalade for my mom. I used a recipe from a copy of The Guide to Good Cooking from Five Roses Flour that I inherited from my Grandmother. The recipe I used was the Busy Housewife’s Marmalade. The ingredients called for 2 lemons, 2 oranges, and 2 grapefruits, along with sugar and water. The method used in The Guide to Good Cooking were pretty involved. Instead, I used the method described by Food for Jars in their post on How to Make Small Batch Marmalade. I began by washing and weighing my fruit. The 2 lemons, oranges, and grapefruits came to three pounds. I thought this a little much so I halved the recipe and ended up with 1.5 pounds of fruit. I put my fruit in a large pot, covered them with water and let them simmer for about 45 minutes as directed. Citrus fruit in the hot tub. After the fruit cooled, I reserved 1.5 pounds of cooking water (3 cups) and measured out 1.5 pounds or about 6.5 3.5 cups of sugar. The pulp from the boiled fruit, water and sugar all went into a pot. Grapefruit is so pretty. Too bad it doesn’t taste as good as it looks. Next, I cut the peel into ribbons and then added them to the pot. I had great plans to not only surprise my mom with a delicious gift on Valentine’s day but to get a jump on next Christmas by canning a few jars of marmalade using these tiny and oh-so-cute jars. I set the jars to boiling in the canner and the fruit, water, and sugar to work their magic in another pot. I diligently watched the temperature of magic mixture and when it reached the 220°F, I diverted my attention to trying to fish those tiny, oh-so-cute jars out of the steam of the canner. Those tiny jars are the devil to find with a face full of steam. Instead of a happy orange colour, my marmalade was burnt sienna. I thought I better taste it in case the damage was only cosmetic. It tasted overwhelmingly of grapefruit, which I don’t like, and burnt sugar. Not even a hug from Sock Monkey can make this canning adventure any better. 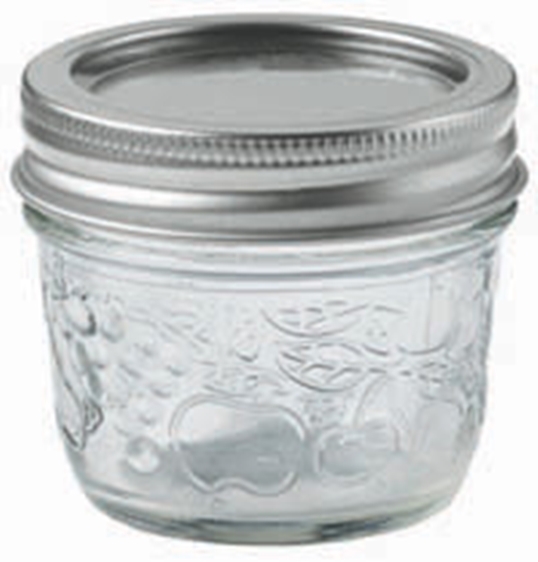 Do not try to sterilize the cute, tiny jars at the same time as regular sized jars. You will not be able to find them for all the steam and the water. Next time, I will start with the larger jars and drain extra water from the canner before moving onto the smaller jars. If I ever make marmalade again, I will cut the zest ribbons into shorter and thinner strips so that they are easier to get into the jars. Do not ignore any sugary solution boiling away on the stove. No even for a second. The temperature method for determining that your jam or marmalade works. You don’t need store bought pectin for a good set. I really don’t like grapefruit. Not even a little bit. I have included the recipe in case someone else, who likes grapefruit, wants to try their luck. Back in the day, citrus fruit was a rare treat. Marmalade stretches this valuable resource and it uses every edible piece of the fruit. It is certainly more economical to make your own instead of buying it. Currently, a jar of marmalade at my store sells for an astonishing $7.59 for a 500ml (pint) jar. Sugar – 1.5 pounds. 4kg (10 pounds) is currently selling for $8.79 or $1.13 a pound. This works out to $1.37 for each 500ml (pint) jar, representing a savings of $6.22 per jar. That is a significant savings. If I was a marmalade eater then I would perseve and attempt another batch as homemade costs far less than store bought. However, even using the modern methods recommended by Food in Jars, marmalade is labour intensive and I just don’t like marmalade enough to face getting my hear broke again. But don’t let my bad experience stop you. Chances are you will do much better. I’m with you on the grapefruit…. the rind especially has no place all in cooking!! However soaked in vinegar it makes a mean cleaner. I don’t mind a learning experience, but I do get peeved when it involves wasted food or materials. However I’m certain a hug from that delightful sock monkey could make just about anything better! That site is very interesting, thanks for the link. Hoping to learn a bit reading it this year. I do jams/jellies when I can get good, ripe and inexpensive fruit and chutneys/ apple sauce, but do much more fermentation, freezing and drying. Hugs and kisses to the lovely monkey. I love the point about not ignoring any sugar solution on the stove! Something I have learned accidentally many times! such a simple mistake to make but one that can happen to anyone. A helpful member from the Food in Jars facebook community pointed out that 1.5 pounds of sugar should only equal about 3 or so cups of sugar. I remeasured and she was right! I have corrected my post but this may explain why my marmalade burned so quickly although I really can’t remember now how much sugar I added.